The Lions Club of Brussels Heraldic continues its annual Xmas at Homes visit to the Arcadia Residence in Molenbeek. 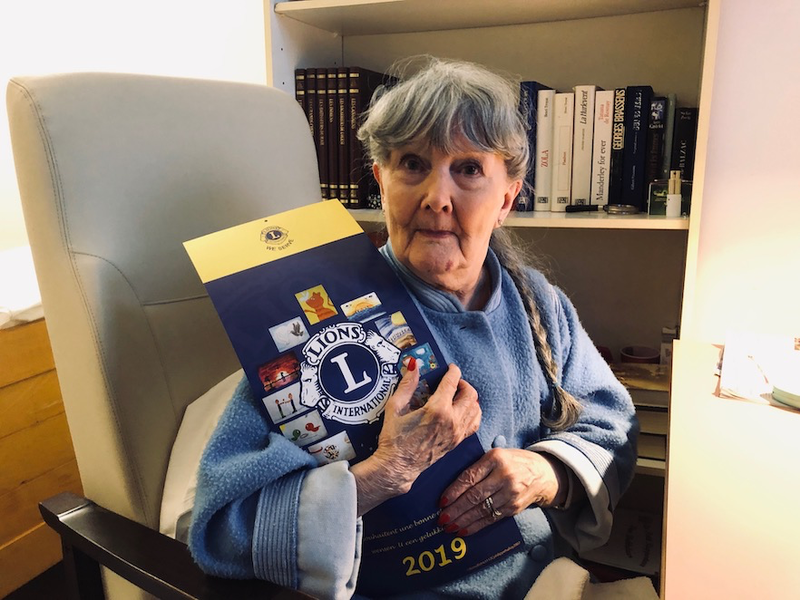 Janine is one of the residents looking forward to receiving the new Lions calendar and to have the good wishes of Lions International for the New Year. Heraldic Lions take the time to bring a few hours of good will – a wonderful yearly tradition of showing that they care by spending a little time with those who often live in solitude. Janine looks forward to the Lions Xmas at Homes Calendar every year.